SEATTLE - Seattle police are looking at some new evidence in the death of Nirvana lead singer Kurt Cobain, who was found dead of a gunshot wound in his home near Lake Washington in April 1994, reports CBS affiliate KIRO. Authorities initially ruled Cobain's death a suicide and said he had taken a lethal dose of heroin prior to shooting himself. Now, according to KIRO, police are taking a look at four recently developed rolls of film that were found in Cobain's home at the time of his death. The station reports the 35mm film was developed last month by the King County Sheriff's Office photo lab under high security. Detective Renee Witt, a spokesperson for the Seattle Police, told the Washington Post that a detective was going through Cobain's case file because of the approaching 20th anniversary of his death and came across the old and undeveloped film. Though the pictures reportedly have a slight green tint because of deterioration, police say they depict the scene more clearly than the earlier Polaroid photos taken by investigators. Police tell KIRO images of Cobain dead at the scene will not be released. Cobain's body was found April 8, 1994 by an electrician who was sent to the home to do electrical work. A medical examiner determined the singer had killed himself three days earlier - only days after he had left a rehab facility. 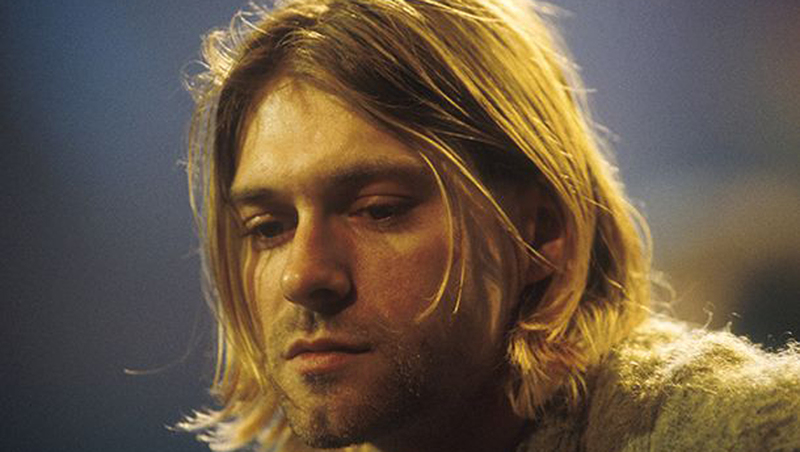 Before he was shot, police said Cobain had a lethal dose of heroin. The syringes Cobain allegedly used and a heroin kit found in his home are also part of the re-investigation, according to KIRO. Last year, a Seattle police department spokeswoman said the department gets at least one request per week to reopen the investigation into Cobain's death, mostly through Twitter. Police have said no other Seattle police case has received similar attention over two decades, reports the station.